In general news, Netanyahu won his 5th term to lead Israel. Julianne Assange was evicted from is London Ecuador Embassy and arrested by British police for unknown reasons. DHS Secretary Kirstjen Nielsen was fired. AG Barr is going after the Obama stooges who tried to stage a coup, and told congress that “spying” did occur on the Trump campaign. 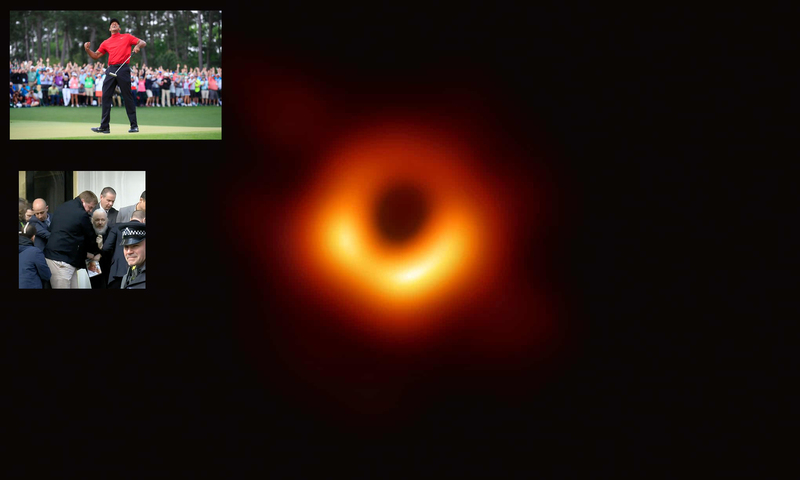 In science, the first photo of a black hole was captured. In sports, 43-yo Tiger Woods won his 15th major at The Masters. In healthcare business news, Regeneron (REGN) and Alnylam (ALNY) formed an alliance. The surveillance capitalism companies are gathering your medical records despite HIPAA. Express Scripts (now part of Cigna (CI)) plans to cap the cost of insulin at $25 per month. Finally, Cardinal Health (CAH) was fined for opioid-related violations.